A night of good music & good people! The evening begins with Tim Sars (of The Carnival Band & Camaro 67) he will be shredding it out with his Trio! 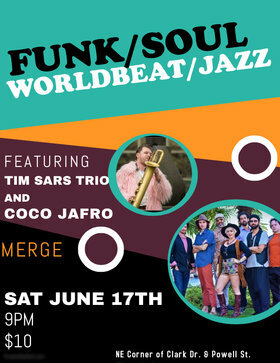 And stay for Coco Jafro, the 7pc Funk/Worldbeat sensation! A guaranteed fun-funk filled night, to groove your body & soul! - Ten Dolla @The door.